Blepharitis, blepharoconjunctivitis, conjunctivitis, dacryocystitis, keratitis, keratoconjunctivitis, acute meibomianitis, corneal ulcers, external otitis, chronic suppurative otitis media. 1-2 drops in affected eye 6 times a day or frequently Ear: 2-3 drops every 3-4 times a day or frequently. 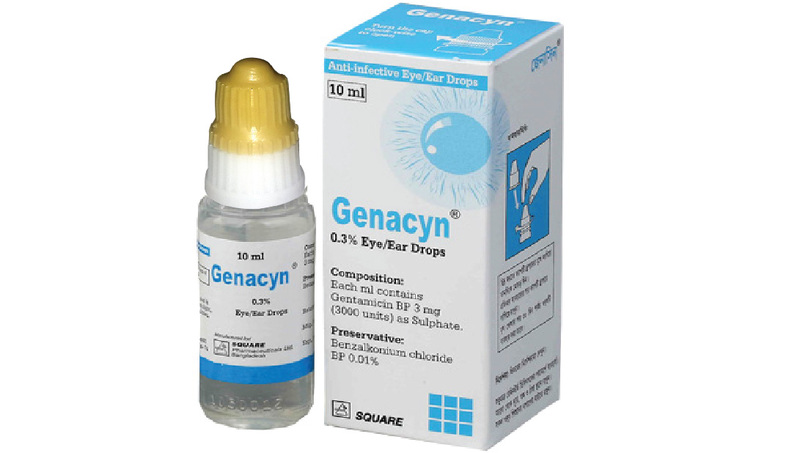 Genacyn® Eye/Ear drops : 10 ml in plastic dropper bottle.